A good remedy for cleansing the blood and strengthen immunity is propolis. Drink 7-10 g of propolis clean (without wax), 3 times daily before meals. A glimpse as an olive is chew for 15-20 minutes, then swallow. 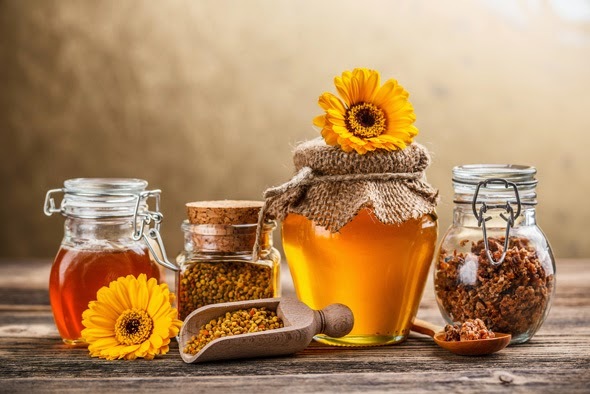 During the flu epidemic, it is recommended to keep the corner of your mouth a piece of propolis when we visit crowded places, but and during sleep, stuck to the teeth. Butter propolis. Do should not miss from the menu of the immunocompromised persons or with chronic respiratory diseases. It consumes without dosing. Preparation: one kg quality butter is brought in an enamelled vessel up to boiling point. The vessel is remove from heat and mix with 150-200 g of propolis grated. Put again on the fire, in a bain-marie (another large bowl with water at 80 degrees) for 30 minutes. Mix it permanent with a wooden spoon. Is consumed anointed on a slice of bread or mixed with grain pilaf. Royal jelly. Three times per day 40-50 minutes before meals, are placed 10 drops of royal jelly under the tongue, with one drop of honey or 2-3 sugar crystals. After a course of 10 days, there is a 10 day break. Repeat 3-10 times.